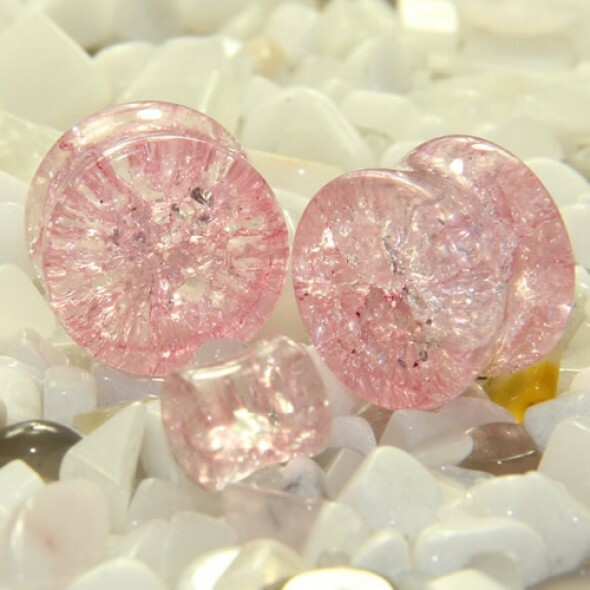 These Pink Cracked Shattered Glass Plugs are made of smoothly polished glass and feature translucent shattered effect that adds a nice accent. The surface is high polished and it's silky smooth. Double flared, so no o-rings needed. Beautiful body jewelry with comfortable wearing surface!